As 2015 is drawing to its close, so is the first year of the My InterNations series: we have shared the personal stories of members around the world — expats in unusual destinations, a couple who met via InterNations, an adventurous biker on the road, and many more. For the last post in 2015, we’d like to present one of this year’s success stories and give you a glimpse behind the scenes. Thanks to InterNations Ambassadors Akinyi (Grace) and new arrival Fabrizio, as well as Evgenia, their contact in Munich and our International Relations Manager for Africa and Oceania, the InterNations Nairobi Community has grown to be our largest local network on the continent. The driving force behind the Nairobi Community involves three global minds from three fairly different global cities. With Grace, born in Kenya and living in Nairobi for most of her life, we are fortunate to have a local InterNations Ambassador who knows her city like the back of her hand. The Kenyan capital is one of the most prominent African cities, both financially and politically, housing, for example, the UN headquarters for Africa and the Middle East. Nairobi’s regional significance reminds Fabrizio of his hometown Brussels, one of the major political centers in Western Europe. While he grew up in a multinational family and has traveled to two dozen countries, accepting a job offer on another continent was a big step for him. Fabrizio used to study in Germany and has plenty of work experience across the Benelux countries, but Kenya – though he loves its richness and diversity — was in a different league at first. 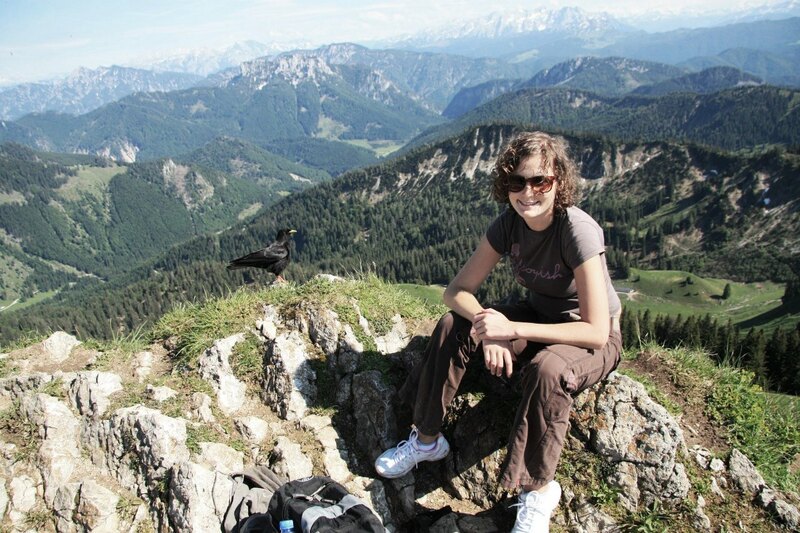 “I fell in love with Munich when visiting Germany for the first time in 2004,” Evgenia recalls. It was her very first trip abroad, and she was resolved to return one day. Meanwhile, she traveled extensively — finally leaving her native St Petersburg, the “city of white nights and splendid palaces”, for a Master’s degree abroad when she fell in love with a German rather than a German city. Evgenia started her job at the InterNations office around the same time when Fabrizio decided to join the Ambassador Team. The Kenyan-Italian-Belgian-Russian trio has been looking after the Nairobi Community ever since. Despite the safety concerns affecting daily life in Nairobi — “get used to different security standards and set your mind at peace,” Fabrizio recommends — more and more foreign residents keep settling in East Africa’s most dynamic metropolis. The strategic location “between Dubai and Johannesburg, Lagos and Mumbai, with many booming markets within reach” is one reason for the growth of Kenya’s diversified economy. Planned infrastructure projects and a high demand for housing offer plenty of jobs for locals and expatriates: incidentally, Fabrizio works for a construction company and Grace is involved in the fast-moving real estate market. “Every day you hear of new opportunities,” Fabrizio says. Kenya’s multicultural population, which includes sizable groups of Somalis, Arabs, Asians, and Europeans, has been growing, and so has our Nairobi Community. New members in particular are in need of support and advice. Luckily, Fabrizio has the right background, with family working in the hospitality sector, and what Evgenia describes as an “open-minded and fun personality”. The two tried to find their feet in their respective role — one on location in Nairobi and the other in the German back office. “What I found challenging at first,” Evgenia explains, “was finding the right approach for each local Ambassador, to meet their particular needs and make them feel comfortable working with me.” She is responsible for coordinating events in over 40 communities on two continents, and every Ambassador Team is slightly different. 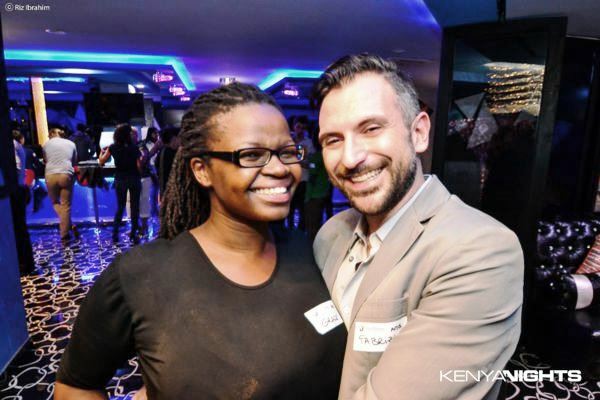 Fabrizio and his fellow Ambassador started tackling various challenges head-on: how to find Nairobi’s best venues and establish a good relationship with their owners; how to organize treats for prize raffles and, most importantly, how to welcome and connect their guests. “Sometimes, it can be demanding,” he admits. But their achievement speaks volumes. To a Great 2015 and an Even Greater 2016! 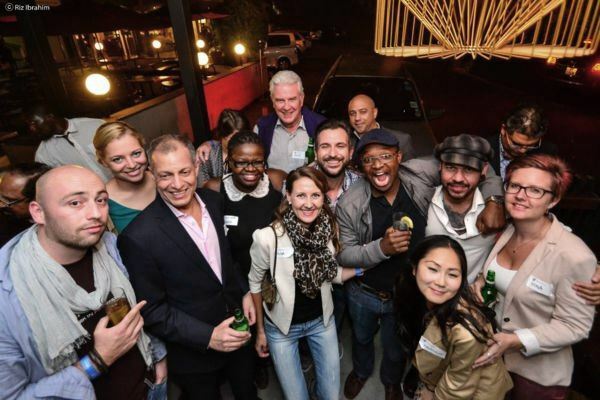 Nairobi has become the largest InterNations Community in all of Africa, with 2,500 newcomers joining in 2015: the Ambassadors host, on average, 200 guests at each of their two monthly events. At the InterNations birthday party, they broke their own record and celebrated with 300 people. This development is a reason to be proud for Grace, Fabrizio, and Evgenia, but they view their success rather modestly: “There’s nothing more rewarding than the smiles of the attendees,” the Ambassador Team says. “The success is thanks to the amazing Ambassadors I have the honor to work with,” Evgenia adds. Let’s hope that 2016 will be just as — or even more — successful. What are their wishes for the next year? 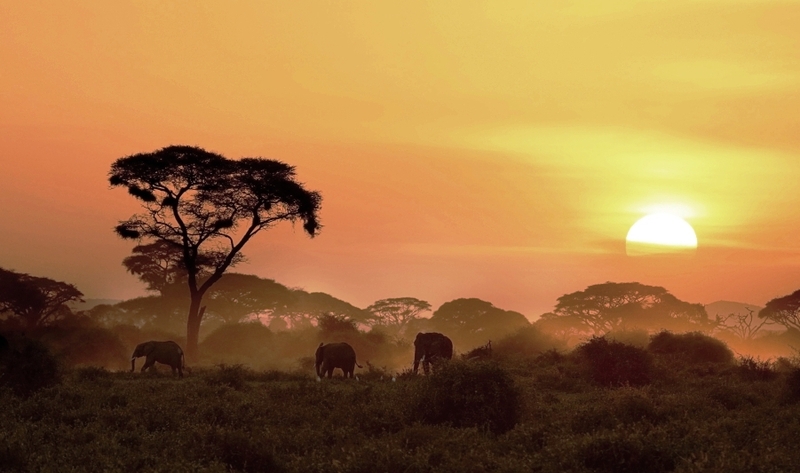 Fabrizio simply wants to enjoy Kenya: “You drive half an hour out of Nairobi, and you find yourself in another world. It’s breathtaking!” Passionate about animal rights, Grace wishes to share her love of Kenya’s “gentle giants”, the African elephants. Bonne année, gelukkig nieuwjaar, felice anno nuovo, heri ya mwaka mpya, s novim godom, and all the best for 2016! Interesting read and looking forward to upgrade my account, my subscription ended. 🙂 ……I just moved back to Kenya from UK ….I was part of internations Manchester and joined several groups in London. I hope I can attend one of the internation Nairobi events soon, sounds really exciting just by reading the above post. I hope you’ll enjoy our events in Nairobi. Have fun! I’m sorry to hear about your problems logging in. Please get in touch with my colleagues at support@internations.org, they’ll be able to help you.